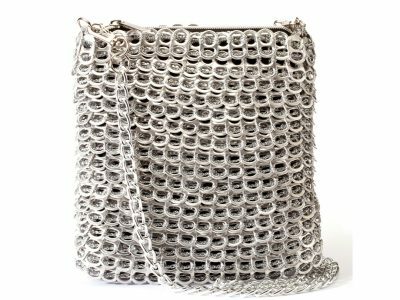 PCF makes an exquisite range of hand sewn bags using recycled aluminium ring pulls. We are constantly developing ideas for new handbags. All the ring pulls have been donated by our UK supporters. 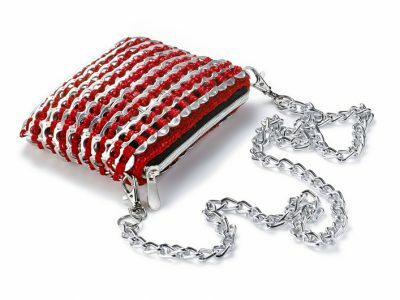 Our new super cute evening bag, has a detachable chain that can easily be worn over the shoulder or clutch-style in hand. An elegant new bigger version of the best selling Perry bag hand crafted with upcycled ring pulls. Elegant shoulder bag hand crafted with upcycled ring pulls. 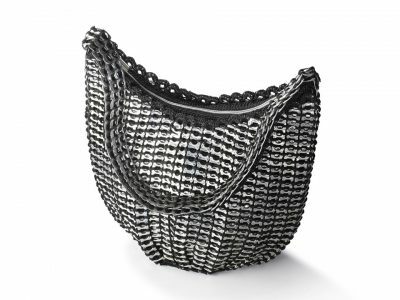 This exquisite Laura bag has room for all of your everyday essentials and features beautiful hand sewn crochet and over 1,000 ring pulls. 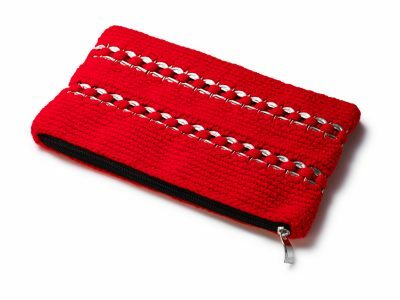 Elegant cylinder bag hand crafted with upcycled ring pulls. 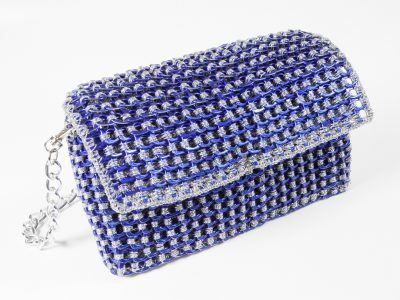 Fashionable crochet clutch bag with an element of stylish ring pulls.